The LDS Church recently released seven new one-minute videos via its web presence geared toward non-Mormons, Mormon.org. The videos discuss parenting, prayer, and basic beliefs held by Mormons. The three videos that fall into this last category are “60 Mormon Beliefs in 60 Seconds,” “Do Mormons Really Believe in Jesus?” and “Do Mormons Believe in the Bible?” Understandably, not much can be revealed in 60 short seconds; nevertheless, these videos suggest that their goal is to present LDS distinctives — specifically Mormon beliefs. In this, they fail. 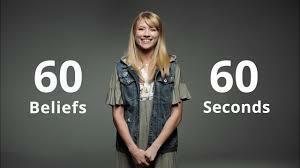 “60 Mormon Beliefs in 60 Seconds” begins with these words: “If you’ve ever wondered what Mormons believe, here’s a bunch of Mormons sharing their beliefs, in 60 seconds.” What follows is a video of different individuals speaking 58 different words or phrases at the camera (only 58 because the word “joy” is repeated three times). Of these 58 words/phrases, only four are unique to Mormonism (i.e., the Book of Mormon, living prophets, temples, and eternal families). Almost all the rest of the stated beliefs could easily be recited by any person of faith (e.g., “God, Jesus Christ, the Holy Ghost, forgiveness, grace, repentance, etc. ), while a pretty high percentage (70%) could also be beliefs held by people with no faith at all (love, marriage, the human family, laughter, honesty, compassion, etc.). This video fails at presenting distinctives of Mormon beliefs and seems instead to be presenting Mormonism as non-unique. “Do Mormons Really Believe in Jesus?” is comprised of man-on-the-street interviews with Mormons, asking pedestrians, “As a Mormon, how do you feel about Jesus?” Most often the Latter-day Saints interviewed describe Jesus as “Savior” and/or “Redeemer.” Other responses include phrases like, “Lamb of God,” “My hope,” and “Son of God.” Once again, this video misses the mark. Without unpacking the words that Mormons use here, the viewer actually learns nothing regarding Mormonism’s distinct beliefs about Jesus and how they differ from other churches and religions. Rather than teaching people who and what Mormonism’s Jesus is, the video settles for merely asserting that Mormons believe. “Do Mormons Believe in the Bible?” is another video featuring man-on-the-street interviews. The man with the microphone explains, “We’re on a mission to discover whether or not Mormons actually believe in the Bible.” He asks pedestrians, “As a Mormon, do you believe in the Bible?” The most frequent answers are, “Yes, I do,” “Absolutely,” and “Yes, of course.” One Latter-day Saint said, “I believe in the Bible as the word of God,” and another said, “I know it’s true,” but again, this video for non-Mormons fails to provide viewers with any useful information specifically about Mormonism. 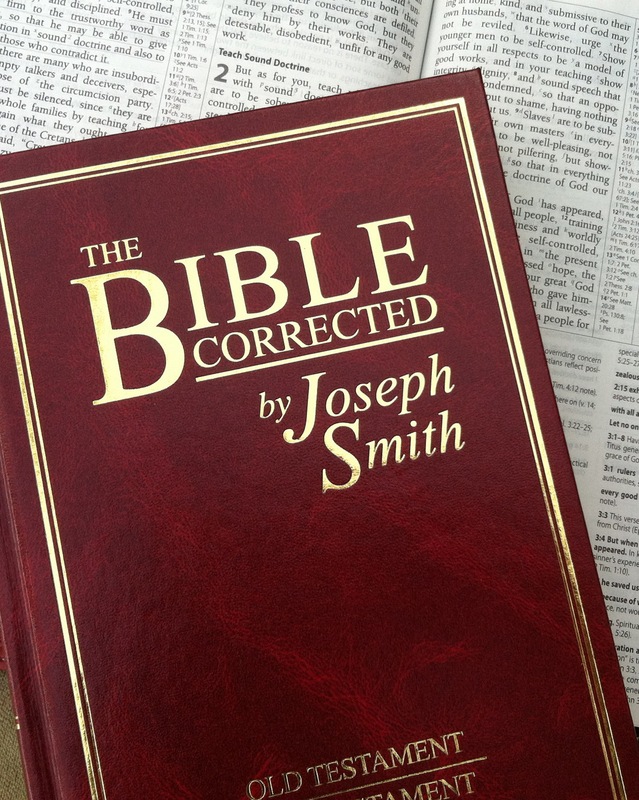 It leaves the unmistakable impression that Mormons (and by extension, Mormonism) love and trust the Bible, holding it in high esteem when, in fact, an unflinching distinctive of Mormonism is its lack of confidence in the Bible. Completely missing from the video are the LDS teachings that the Bible is incomplete, that “plain and precious” truths have been purposefully removed from its pages, that where it diverges from Mormonism it is the Bible that is in error, that it can only be properly understood in light of latter-day revelation, and that Joseph Smith reliably “corrected” the biblical text (resulting in the more trustworthy Joseph Smith Translation of the Bible). The purpose of the LDS video, “Do Mormons Believe in the Bible?” seems to be one of obfuscation rather than enlightenment. For those who have ever wondered what Mormons believe, they won’t find the answers in these Mormon.org-produced videos. If the LDS Church is serious about educating non-Mormons regarding what Mormons believe, it might consider following MRM associate Aaron Shafovaloff’s lead, asking members to comment on more specific and differentiating questions. Aaron has conducted his own man-on-the-street interviews with Mormons, seeking to discover and provide viewers with important information unique to Mormonism and to what Mormons believe. He asks (based on the LDS doctrine of eternal progression): “Is it possible that Heavenly Father was once a sinner in a past mortal probation?” Latter-day Saint answers to this question turn out to be highly informative and enlightening, allowing viewers a glimpse into the uniqueness of a rather surprising (and, from a Christian perspective, disturbing) foundational teaching of The Church of Jesus Christ of Latter-day Saints.